Yet another in the latest of the films of Polish filmmaker Jerzy Stuhr to receive digital remastering and repackaging by Facets Video, Love Stories (Historie milosne) stars Stuhr in four separate stories of people who don't know how to handle the love in their lives. His characters - a college professor, an army officer, a priest and a criminal - struggle between career and love. Typical for Stuhr, Love Stories is unabashedly sentimental and sweet while also being humorous and pointed in its life-affirming messages. 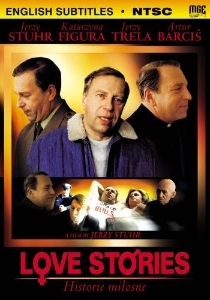 Unlike most of Stuhr's films, or any of Poland's recent international releases, Love Stories attracted both acclaim and box-office success when first released in 1997. Winner of the FIPRESCI Award at the Venice International Film Festival, Love Stories is a refreshingly simple, insightful and touching film in which it is the thief, perhaps surprisingly, who ends up being the character with whom most will resonate and who unquestionably ends up learning his lessons and getting it right. 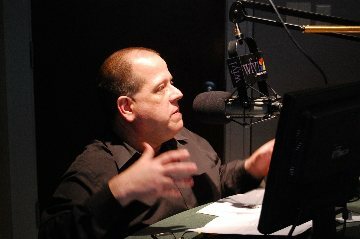 Stuhr had already built quite the career for himself when he began venturing behind the camera, and his devotion to character and performance is astounding, perhaps, because he's lived for years in the shoes of an actor. Here, as four characters, Stuhr displays a magnificent rage of sympathetic to clueless, funny to maybe even a touch frightening. Love Stories spent a couple years on the film festival, playing in the U.S. at the Chicago International Film Festival. While there's little denying Stuhr's gifts as an actor, Love Stories is at times plagued by poor pacing and some significant continuity errors that may or may not prove to be distracting.